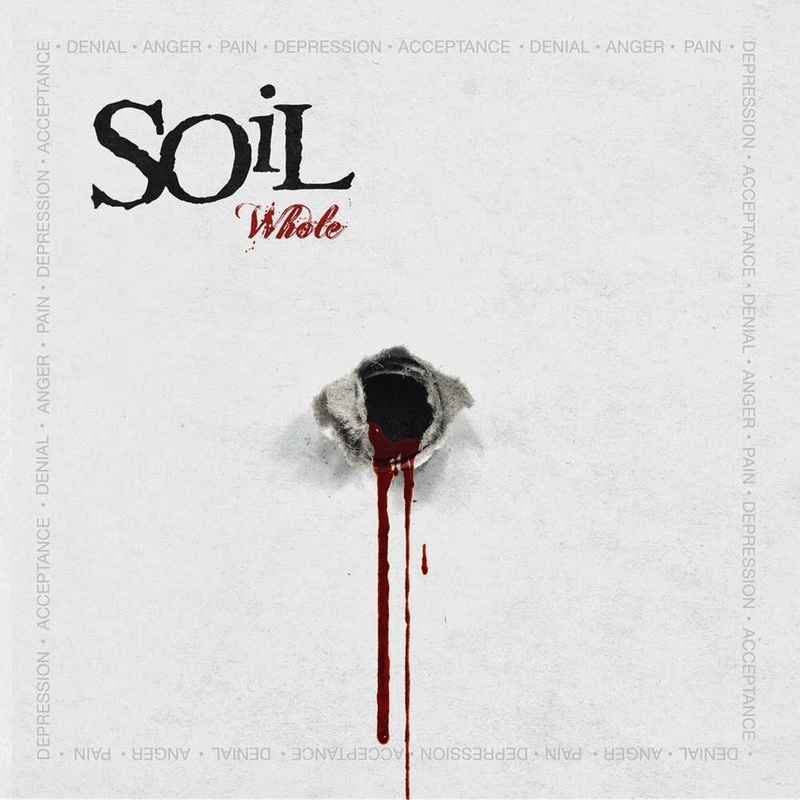 Hall of the Mountain King: Review: Soil, "Whole"
For instance, the first song “Loaded Gun” seems almost calculated to make you think of Scars, but it’s an incredibly catchy number that gets things going on the right foot. There’s a driving guitar riff from Adam Zadel, and McCombs is back in his element roaring out the lyrics. Throw in a memorable chorus melody, and they’ve got my full attention. For the most part, the band delivers exactly what I want. There are a few truly outstanding moments on the album, a lot of solid hard rock, and only a couple of disappointments. Let’s start with those outstanding moments: In addition to “Loaded Gun,” there’s “My Time,” probably my favorite track on the album. If it hasn’t already been used that way, this is a song that’s destined (and perhaps calculated) to be entrance music for an MMA fighter. It’s an angry, hulking and boastful tune that perfectly fits that atmosphere. It’s catchy with a great chorus hook, and it’s hard for a hard rocker not to thump his chest and sing along. The other high point is the appropriately-titled “Amalgamation,” which finds McCombs stringing together references from previous songs he’s written both for Soil and Drowning Pool. It’s an idea that doesn’t often work for artists, but in this case, the driving energy of the song and another memorable hook raise it above the usual reference-dropping offering. Whole is a very angry album, and that anger works for Soil. It’s far better than when they go for brooding. That path leads to the few less interesting tunes on the album, “Way Gone” and “One Love.” Neither are without their redeeming qualities, but they just don’t quite stack up to the rest of the record. Somewhere in between those, there are some really good tracks that stick. The mocking melody of “Little Liar” is another favorite of mine. “The Hate Song” brings more memories of Scars as McCombs roars out his rage over an, um, interesting relationship. “Shine On” is an example of where brooding works with an Alice in Chains feel early on before kicking up into an aggressive and energetic shoutfest. And the big chorus hook of “Ugly” elevates it above an average modern rocker. Lyrically, as you’d expect, Whole doesn’t deliver much food for deep thought. The anger expressed often shifts over into the adolescent, as on “Psychopath,” and there’s a good bit of macho bluster on the record, but it’s fitting. I’m pleasantly surprised by what I hear on Whole. Though I haven’t kept up with Soil over the years, I’ll call it a comeback anyway. It’s not groundbreaking, but it’s a collection of great, angsty and angry hard rock.